3 trees planted in memory of Frank J. Troxell Sr. 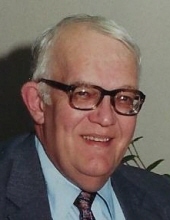 Celebrating the life of Frank J. Troxell Sr.
Obituary for Frank J. Troxell Sr.
Frank J. Troxell Sr., 83 years of Catasauqua died Wednesday January 30, 2019 at Lehigh Valley Hospital-Muhlenberg. He was the husband of Patricia A. (Long) Troxell with whom he celebrated 56 years of marriage last June. Born in Shamokin, he was the son of the late Wm. Blaine and Grace E. (Evans) Troxell. Frank was a graduate of Shamokin High School in 1953 and was a graduate of Bloomsburg State Teachers College, earning a Bachelor of Science degree in Business Education. He earned a Master’s of Education degree in Educational Administration from Lehigh University. He was a Business Education Teacher, an Assistant Principal, and retired as Principal of Catasauqua High School in 1993. He followed and loved the Rough Riders and was known as “Big Daddy” throughout the district. Frank served on the Catasauqua Library Board and served as treasurer and was also treasurer for the Catasauqua High School Sports Hall of Fame. He observed student teachers for DeSales University. Frank enjoyed traveling, bird watching, was an avid Eagles and Penn State fan, and enjoyed attending his grandchildrens’ events. Surviving with his wife are sons Frank J. Jr. and his wife Christa, and David A. and his wife Gretchen, brother William, grandchildren Michela, Cory, Devon, Derek, and Delaney, and nieces and nephews. He was predeceased by a sister Betsy, a sister-in-law Margaret, and a niece Carol. Funeral services will be held at 12pm Monday February 4, 2019 at Brubaker Funeral Home, Inc. 234 Walnut Street Catasauqua, Pa. 18032. His viewing will be from 9am-12pm in the funeral home on Monday. Memorial contributions may be made payable to the funeral home to establish a Catasauqua High School scholarship in Frank’s name. To plant a tree in memory of Frank J. Troxell Sr., please visit our Tribute Store. "Email Address" would like to share the life celebration of Frank J. Troxell Sr.. Click on the "link" to go to share a favorite memory or leave a condolence message for the family.